In 2015 the five permanent members of the Security Council (US, UK, France, Russia, and China) and Germanyconcluded negotiations with Iran on a deal that would lift sanctions on Iran in exchange for that country’s suspension of its nuclear program. Called the Joint Comprehensive Plan of Action (JCPOA), this landmark agreement marked an easing of tensions between the parties involved and the triumph of diplomacy over force or the threat of force. And for the people of Iran, the lifting of sanctions promised relief from the poverty sanctions had caused. Washington attributes the success of negotiations to the efficacy of severe economic pressure. According to TritaParsi, former president of the National Iranian American Council (NIAC), officials in the Obama administration publicized the myth that “crippling sanctions brought the Iranian regime to its knees, forcing it to rush to the negotiating table to beg for mercy.”For Parsi, this conclusion is questionable at best. In Parsi’s view, Iran’s “more conciliatory policy towards the West” reflected the influence of a “pragmatic faction with the Iranian government.” Even before Obama had imposed sanctions, Iran had offered the West its own proposals for a nuclear settlement. In the end,both sides were willing to compromise, and the result was a deal that let the world breathe a little easier—until Donald Trump in 2018 chose to scrap the deal and re-impose sanctions, despite Iran’s near-universally recognized compliance with the terms of the agreement and its obvious success in averting war. Parsi explains: “Trump’s strategy seems designed to fail. Instead of a Plan B aimed at securing Iran’s capitulation, it appears designed to pave the way for Plan C: War.”Those who praise the role of sanctions in forcing Iran to renounce its goal of becoming a nuclear power invariably fail to consider the humanitarian consequences of a policy that seeks to cripple Iran’s economy. In Iraq, the 13-year economic embargo brought nothing but misery and death to the Iraqi people while strengthening the regime. Only after the US and UK invaded Iraq in 2003 and toppled the regime were sanctions rescinded. 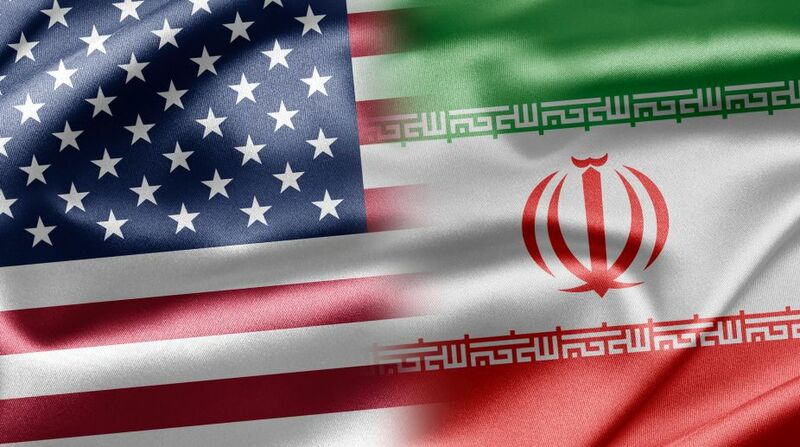 Unilateral and multilateral sanctions on Iran have a three-decades-long history; they were originally implemented to resolve the standoff between Iran and the West over the issue of Iran’s nuclear program. In addition to the US, the European Union, the UN Security Council, and other countries have also imposed sanctions on Iran. The JCPOA in 2015 was welcomed as an opportunity for Iran to return to the fold of the global economy and to reinvigorate its own economy. Trump with the stroke of a pen has sabotaged that possibility and consigned the Iranian people to ever more suffering with the “snap back” of unilateral US sanctions. In the case of Iran, the restoration of sanctions will occur in stages. Sanctions on the export of Iranian oil and petroleum products will begin on November 5, 2018. There are already restrictions on Iran’s purchase of US currency, and its ability to trade in gold and precious metals. As a consequence of these and other restrictions, the local currency—the Iranian rial—is losing most of its purchasing power (since 2010, it has lost two-thirds of its value against the US dollar), while the price of consumer goods is doubling. On top of these changes, the cost of imported drugs has risen by 40-50%. The government’s monthly cash allowance “buys less than $4 worth of goods because the official exchange rate has not been adjusted,” according to Shashank Bengali, a Los Angeles Times South Asia correspondent. McKernan quotes Jamal Abdi, the current president of the National Iranian American Council, who says, “The grievous harm sanctions cause the Iranian people cannot be overstated. As the economy and unemployment levels make daily life unbearable for millions of Iranians, families are choked off from life-saving medicines and starved of critical infrastructure.” Many would likely agree with Abdi’s conclusion that sanctions on Iran amount to “collective punishment,” while the government remains immune to their impact. Our cities, villages, and hospitals have become embargoed regions, as our bodies are sealed in slab after slab of red tape. By adopting the seemingly neutral language of economics and law, sanctions legitimize dehumanization. It becomes acceptable to deny a people technology, medicine and aid. As sanctions have grown harsher over the years, those suffering from rare or complicated diseases have been the first to bear the consequences. After 2010, the Iranian Blood Transfusion Organization (IBTO) which had purchased Hemophilia testing kits from European companies, had to close testing centers across the country. Europe was no longer willing to supply Iran, and IBTO could not meet demand. Nurses and hospital staff still tell stories of drug scarcity between 2010 and 2014, as if recalling a nightmare. They’d send out parents of cancer stricken children to purchase medicine, knowing full well that they would return empty-handed. In theory, sanctions were to be waived for humanitarian aid. But in reality, as financial transactions with Iran were restricted, it became impossible to purchase pharmaceuticals and other goods. In the opinion of this author, sanctions are not a benign alternative to war; they are war by other means, using economic pressure to strangle the targeted country’s economy. If regime change is the ultimate goal of sanctions, then one way to accomplish this, without committing military forces, is to make life so unbearable for citizens of the targeted country they take matters into their own hands by rising up against their government. It didn’t work in Iraq, and it is highly unlikely to work in Iran. Granted, there are cases when sanctions are a necessary and justifiable means to achieve certain ends—such as the dissolution of the apartheid system in South Africa. In the case of South Africa, the people themselves, in solidarity with the international community, called for sanctions to end an unjust system. George Capaccio is a writer, performer, and activist living in Arlington, MA. During the years of US- and UK-enforced sanctions against Iraq, he traveled there numerous times, bringing in banned items, befriending families in Baghdad, and deepening his understanding of how the sanctions were impacting civilians. His email is Capaccio.G@gmail.com He welcomes comments and invites readers to visit his website: www.georgecapaccio.comGeorge is currently working on a book about the US role in the destruction of Iraq.